Nobody has ever done this before. Ever. One continuous seventy-four minute long track. All synthesized voices in several languages, all electronic instruments of several unique origins. 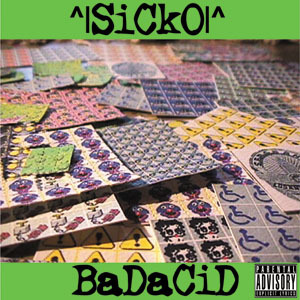 ^|SiCk0|^ is disgustingly sick and will have you questioning your own motives when your body starts to shake and quiver uncontrollably to this amazing track. This is ^|SiCk0|^’s third release but it’s his first release outside of the Sickness Series. ^|SiCk0|^ recommends to properly enjoy this release one must ingest the acid while wearing headphones.